29th March 2019 to 30th September 2019 inclusive. 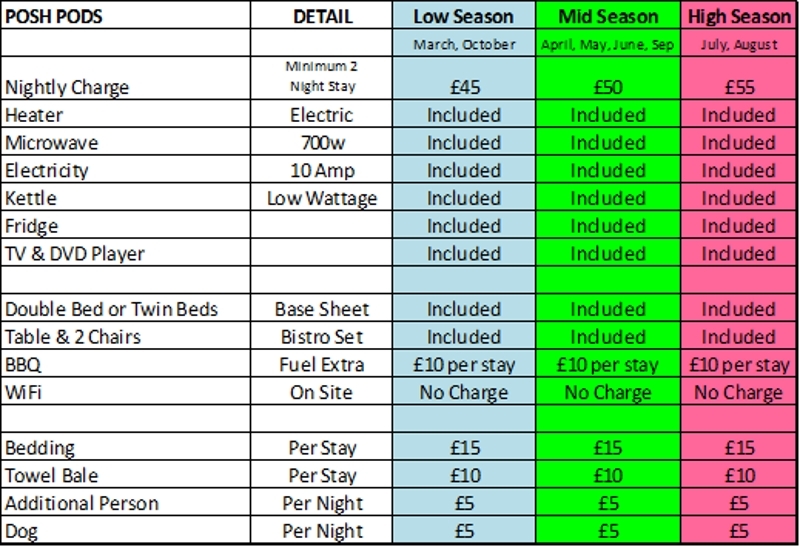 All Bank Holiday Weekends are charged at High Season tariff. Minimum of 2 nights in Pods. 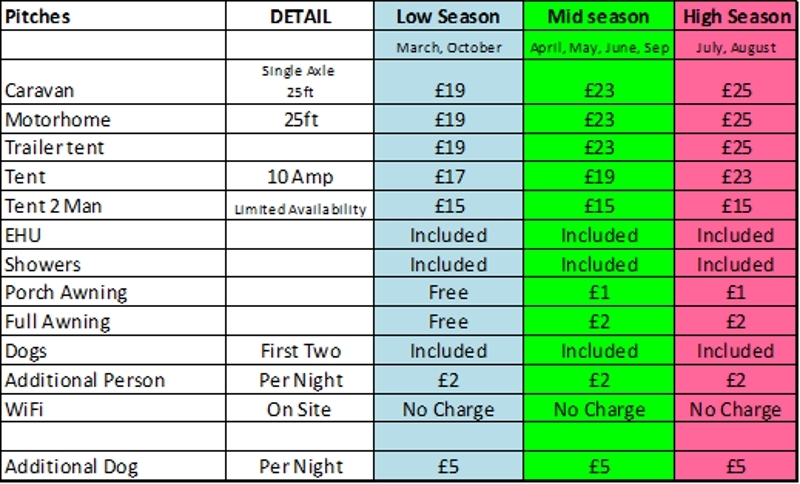 No single night bookings at weekends. at any time of the season including High Season.